Midichlorians, microbes, mud, and the Force IRL. To be a Jedi one must master the ability to “use the Force” but what is this mysterious, all powerful “Force” that exists everywhere? Even in the fictional universe of StarWars, the storytellers offer up an explanation: MidiChlorians. Midi-chlorians were microscopic, intelligent life forms that originated from the foundation of life in the center of the galaxy, and ultimately resided within the cells of all living organisms, thereby forming a symbiotic relationship with their hosts. InRealLife, no such knowledge or “Force” exists because we don’t have microscopic, intelligent life forms that form the foundation of life and reside within the cells of all living organism forming a symbiotic relationship with their hosts. Wait, that’s exactly what Microbes are! IRL Midi-Chlorians are akin to Microbes. Microbes power you. You have more bacterial cells inside you than YOU cells that make you you. Non-human cells outnumber human cells by a factor of (at least) 1.3 does this mean we’re more alien than we think? The “Human Microbiome” is a fascinating and relatively unexplored area of science and much is yet to be learned. Like “The Force” from StarWars, could knowledge of these symbiotic microbes that live within us allow us to harness their power in ways beyond what they already do within our bodies? Perhaps not to the extent of being all Jedi (just yet) but they certainly can produce electricity. In extremely tiny amounts but it’s electricity, the stuff that powers things we rely on more than we care to admit to: electronics. In other words, pretty much everything. The microbes that produce electricity are those that have external protrusions which are different from other bacteria such that they are electrically conductive. Lets’ call them “Bacterial Nanowires”. 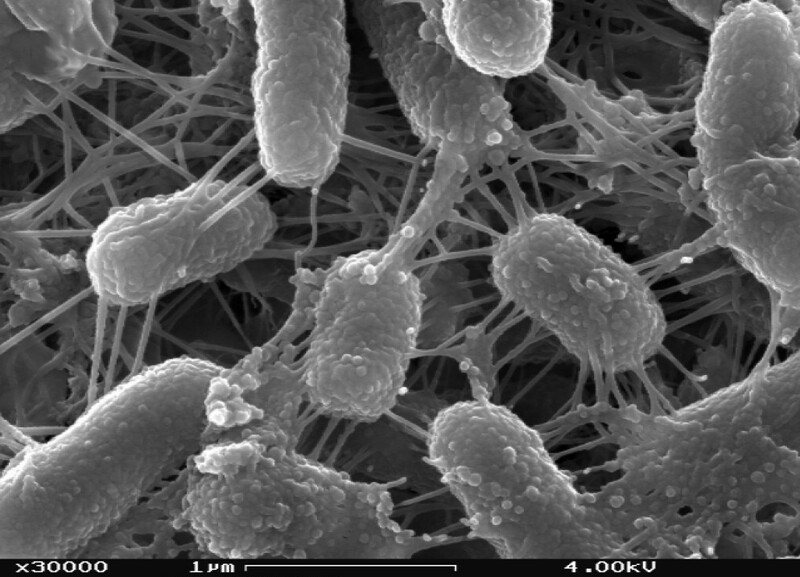 The most well known of these electrically capable bacteria belong to two groups called “Shiwanella” and “Geobacter”. We don’t fully understand why these two like electrons so much that they have nanowires but we do know how to “tap into” this unique capability, channelling this biological electron movement to power electronics much as a regular old battery or cell would. The difference here is that these electrons flow because of a biological process (living bacteria) in contrast to the chemical reactions that cause the flow of electrons in regular batteries, hence the name “Microbial Fuel Cell”. Happily these two types of bacteria are so common they’re found everywhere on the planet, just scratch the very surface. Literally, they live and thrive in plain old mud. And yes, you can make one yourself.